To understand just how depraved today's college campuses are, compare the treatment of two professors – one defending a Western, pro-American democracy (Israel) and the other suspected of supporting this century's most gruesome Islamist terror organization, the Islamic State ("ISIS"). Pino's jihadist leanings and virulently anti-Israel rants on social media include possible threats against the U.S. government. In 2002, he praised a teenage Palestinian suicide bomber who had killed two people in Jerusalem, saying that the teen had "died a martyr's death in occupied Jerusalem, Palestine." In a 2014 open letter to "academic friends of Israel," Pino published an unhinged and anti-Semitic invective: "I hold you directly responsible for the murder of over 1,400 Palestinian children, women and elderly civilians over the past month...[w]hile The Chosen drain the blood of innocents without apologies you hide behind the mask of academic objectivity, nobility of research and the reward of teaching to foreign youth – in a segregated university, of course." Pino closed the letter with: "Jihad until victory!" Kent State remains comfortable with him in the classroom despite the over-the-top rhetoric and news of a federal investigation. The Kent Stater, the university's student newspaper, provided him with a video platform to defend himself, and the editorial board wrote that "it is too soon to make a judgment on the investigation..."
Contrast Pino's case with Connecticut College's treatment of professor Andrew Pessin for defending Israel in its 2014 war with Hamas (a State Department-designated terrorist organization). Over half a year after Pessin's Facebook post critiquing Hamas, the student newspaper at Connecticut College launched a surprise character assassination by publishing three editorials condemning Pessin (including on the front page), without giving him a chance to defend himself against libelous accusations of racism. In a reportedly packed auditorium Connecticut College President Katherine Bergeron said that she was "disappointed by the language" of Pessin's post, which "seemed to show poor judgment," and she praised "the valor of the students who responded to these incidents by exercising their own right of free speech with confidence and intellectual acuity." These statements by Bergeron (as of this writing) continue to appear on the college's web site, long after a Washington Post column cited available evidence to make a compelling case that the allegations against Pessin were politically motivated lies. More absurdly, Bergeron promised to "review our social media policies to ensure they include appropriate advisory language about respectful expression," even as her administration continues to allow the school's student newspaper to host libels against Pessin alongside anti-Semitic rants. As if public condemnation of Pessin weren't enough, the administration continues to display statements from scores of academic departments, school officials, student associations, and other college affiliates, denouncing Pessin on the official Connecticut College website. As of this writing, no other issue or speech is similarly scrutinized or condemned on the school's official web site. At the same public forum last March, Bergeron also promised to update the school's "protocol for bias incidents so that those who come forward under these circumstances are well served by the process." Too bad her lofty commitments proved empty after the bias incidents against Jewish students at the school last December, when Conn Students in Solidarity with Palestine ("CSSP") placed posters around campus bashing Birthright, a program that helps young people travel to Israel. The CSSP posters call the program a form of "settler colonialism" and demonize Israel. As Phyllis Chesler reported, the administration's spinelessly neutral response was to "recognize CSSP's right to share its perspective [and] the right of members of the community to express their disagreement with the posters' characterization of the Birthright program." Anti-Israel sentiment is therefore welcome on bulletin boards throughout Connecticut College's campus, regardless of whether it is true. But the "poor judgment" Andrew Pessin showed in a Facebook post merits his absence from campus for at least a year, especially in comparison with "the valor of the students" who refused to accept his apology and his immediate clarification that he was speaking only about the Hamas terrorists in Gaza. It gets much worse. In her article attacking Pessin last March, Lamiya Khandaker admits that she was Pessin's student but "never felt victimized in class," even as she claims in the same op-ed to "feel unsafe" because of a barely noticed Facebook post published eight months earlier. This led to protests, petitions and, finally, to Pessin's leave of absence, which continues today. If Bergeron wants to review school policies to be sure people behave appropriately, she should start by reviewing Connecticut College's honor code. Khandaker's actions seem to violate several provisions. She failed to "respect...the dignity of" Professor Pessin by publicly attributing repugnant views to him that he doesn't actually hold; and her actions, which viciously libeled Pessin, were neither "thoughtful" nor "ethical." Nevertheless, Khandaker was apparently never sanctioned for defaming a faculty member or violating the school's honor system, and was allowed to keep her position as the student government chair of "equity and diversity" at Connecticut College. Khandaker kept that position even though she reportedly scoffed at anti-Semitism and called for Israel's destruction on her Facebook page. It's an elected position, school spokeswoman Pamela Serfes said last fall, and the administration "does not select or pre-qualify candidates, nor would it seek to remove duly elected office holders with whom it may disagree." Why not? Probably because the Connecticut College administration had doubled down on its support for anti-Semites and anti-Israel haters, by granting Khandaker the "Scholar Activist Award" last spring. They must understand how insane that looks because they also refused to comment about or even confirm giving her that award. 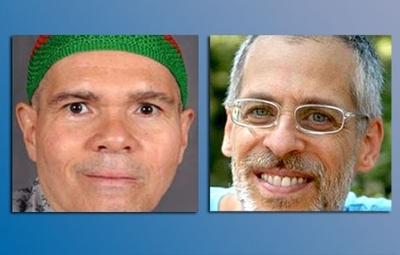 To recap, not only did the Connecticut College administration participate in the character assassination of a professor who did nothing more than criticize Hamas, it rewarded those behind the campaign to silence their school's only openly pro-Israel professor. Then, when CSSP spread its vitriol in anti-Israel posters with no effective voice on campus to counter their hateful propaganda, the administration issued a spinelessly neutral statement while students were on break. Pino, on the other hand, is still teaching at Kent State and receives far more support from his school's newspaper. Taxpayer-funded Kent State has given Pino many teaching awards over the years, unlike Pessin, who has never received any award in his decade of teaching at Connecticut College (student ratings of Pessin's teaching average 4.2 out of 5; Pino's rating is 2.7). There was no campus-wide talk where Pino was condemned in front of the community and the media. A statement by President Beverly Warren seems primarily intended to reassure the community that there is no related terrorism or security threat. In a 2014 video experiment, Ami Horowitz captured the bafflingly different campus attitudes towards Israel versus ISIS. Things have clearly gotten worse since then. If George Orwell were observing academia, he would remark that "All speech is equal, but anti-Israel speech is more equal than others." As Hamilton Foundation president Christian Whiton notes, "Diversity to college administrators means a Benetton ad – an obsession with race and ethnicity – not true diversity of thought." Indeed, the worldview promoted by the tyranny of political correctness breeds a new generation of radicals friendly to Islamist regimes, values, and trends, and hostile to the U.S., Israel, and Western values in general. This is the morally bankrupt climate in which America's future is being educated. We're in trouble. I am a Kent State graduate, and I got to know Pino a bit while an MA student in History. I was there the year he was hired, before he converted. Naturally I follow any news about him. You might like to know that a local newspaper, the Akron-Beacon Journal, printed an article (25 January) defending his rights (with which I cannot entirely disagree, as he has not been convicted of anything). A day or so later (don't remember exactly) a professor from the University of Akron, know for his pro-Palestinian stance, wrote a letter to the Beacon-Journal defending Pino and condemning US anti-terror policies. While I defend constitutional rights, I agree that it is an injustice not to accept the rights of those who defend Israel and criticize Islam.